One of the biggest announcements of that New York Comic Con thingee that went down last weekend, was the news artist Jim Lee would return to drawing Superman in 2013, and joining him in the new ongoing super-title would be DC's current hit-maker writer; Scott Snyder. 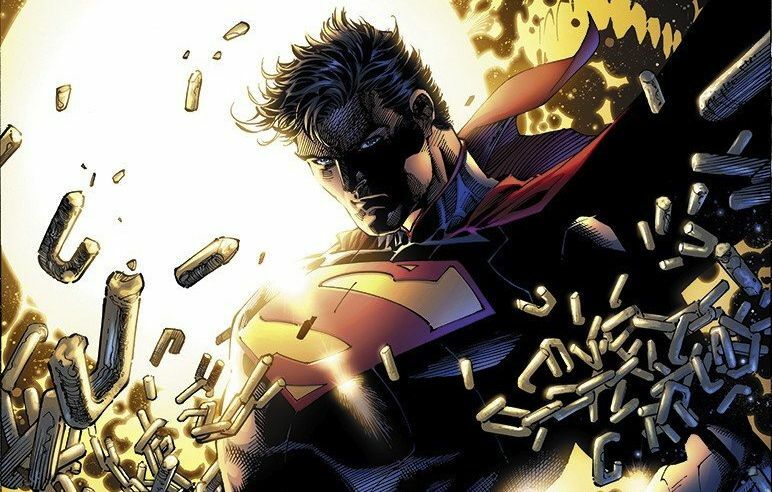 Not only does Supes have his Hollywood re-appearance next year, it is the Man of Steel's 75th birthday, so not a bad way to mark the event. One event that falls between here and there however is Halloween and in marking that occasion, millions of pumpkins worldwide are about to get carved. See how it compares to the original? Now I don't know about you, but I'd be spraying that pump' with some kind of preserving agent, to ensure that all-natural masterpiece didn't turn all green and fugly in the coming weeks! That is awesome. It needs a coat of shellack, stat. Heya Pensol! It sure is huh? 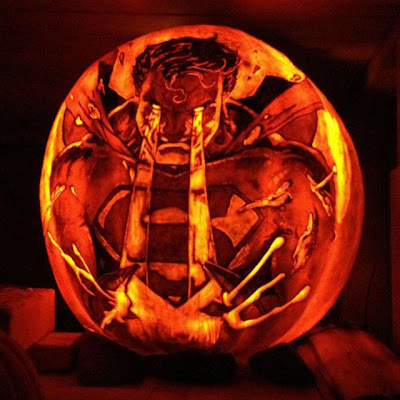 And Jim Lee with all his drool inducing detail isn't the first artist I'd try to make a carving from either - but it works! The artist behind this pump has also done a few other heroes and villians, which I'll be sharing both on here and the IADW Facebook page between now and the big day, so keep an eye out for 'em! It sure is Dave - heat vision has rarely looked meaner! 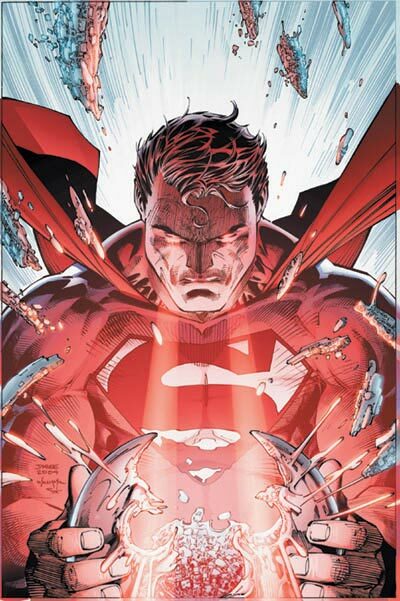 Plus its about time Supes got some 'don't mess with me' kind of promo art too don't you reckon? That is too freakin' sweet. If I'd done that it would be my cover photo on every social website for the next year. Thanks Karl - glad you like! Random, I'd even go trick or treating for the first time ever, just to knock on doors and say 'See my mega cool pump-o-lantern?' Knock knock, 'See my mega cool pump-o-lantern?' Knock knock... well you get the point. I posted the Wolverine one up on the Facebook page and more will be posted here in the days ahead!